With just 5 ingredients, this breakfast comes together in a flash…except for the waiting overnight part. If you’re a night owl, make some use of your awake time and prep these overnight oats the night before you’re going to have them for breakfast. In need of a quick breakfast without all the fuss? 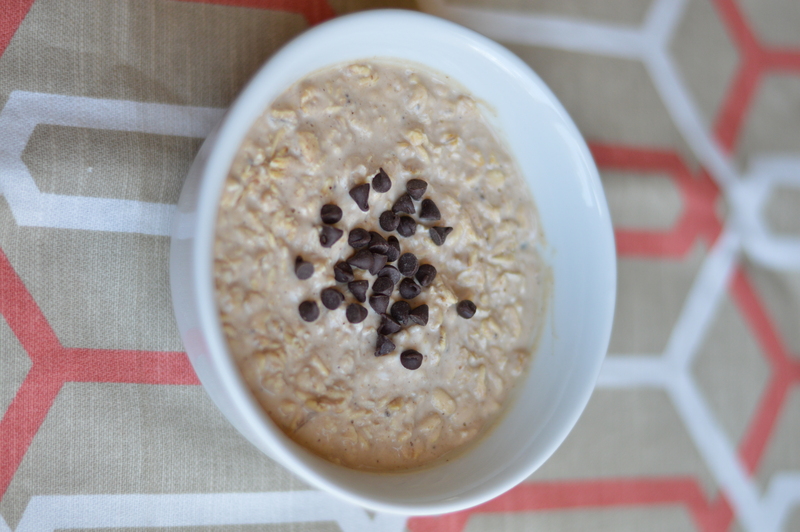 Overnight oats have been circling the web for some time now, and I can see why! There’s no waiting for your oats to cook like typically prepared oatmeal, and if you build your oats in a jarred container you have a lovely portable breakfast for those mornings where you would’ve otherwise ran out the door without breakfast. With just 5 ingredients, this breakfast comes together in a flash…except for the waiting overnight part. 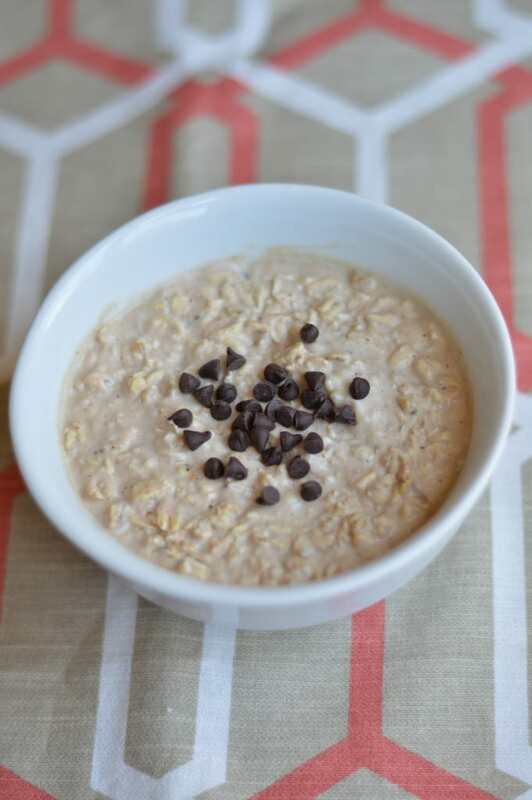 If you’re a night owl (like me) make some use of your awake time and prep these overnight oats the night before you’re going to have them for breakfast. Although you could totally use a basic formula of oats+milk+whatever other add-ins you have, this happens to be my favorite flavor combination now (and probably for all of time). 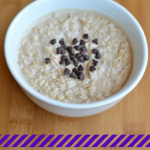 Chocolate PB2 gives these oats a nice burst of flavor without the usual high calorie count of regular peanut butter. A half scoop of my favorite protein powder rounds off the flavor and gives it a little sweetness along with a high protein punch. Silk Vanilla Unsweetened Almond Milk is added to this right before it gets put in the fridge for at least 4 hours, but preferably the full 8 while you rest. 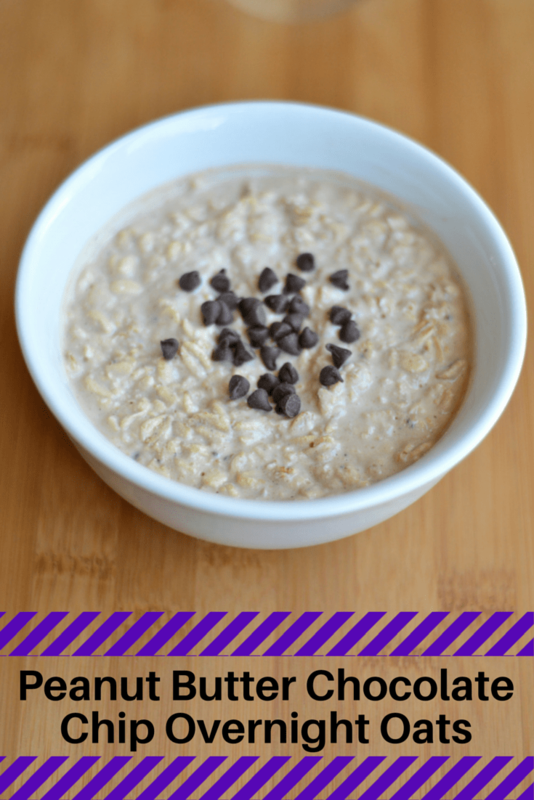 Top these oats off with a tablespoon of mini semisweet chocolate chips for a delicious breakfast that almost feels like dessert! 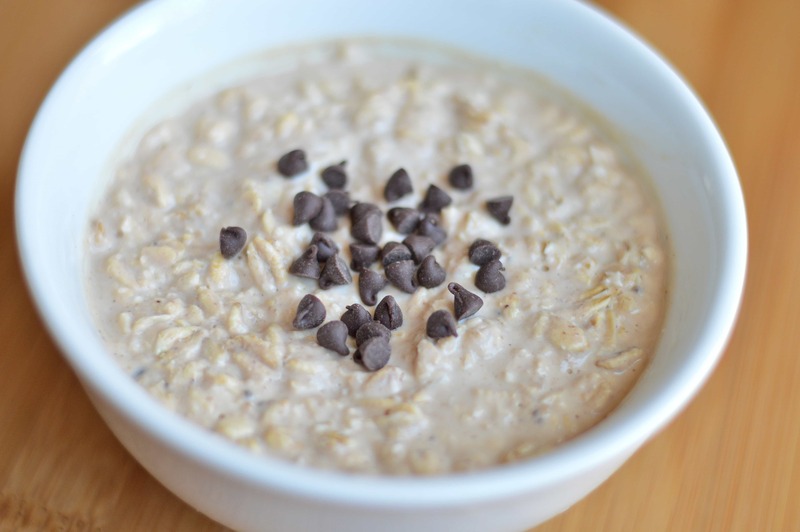 If you prefer your oats warm, remove the lid/cover and heat in the microwave in the morning. Breakfast just might be my favorite meal of the day! Check out my Brilliant Breakfasts board on Pinterest to see all the breakfasts I’m drooling over! What’s your favorite breakfast food when you’re in a hurry? With just 5 ingredients, this breakfast comes together in a flash...except for the waiting overnight part. If you're a night owl, make some use of your awake time and prep these overnight oats the night before you're going to have them for breakfast. Combine dry ingredients in a jar or bowl. Add in milk. Shake or stir to combine wet and dry ingredients. Leave in refrigerator for at least 4 hours, but preferably overnight. Top with chocolate chips or other desired toppings. *If you prefer your oats warm, remove the covering and microwave for 30 seconds. I’m usually not a big oats lover, but I might very well try this. I used to not like oats that much either, but I’ve recently been converted! Let me know if you try them!